Former White House chief strategist and current Breitbart News chief Steve Bannon says he's breaking with President Trump and backing former judge Roy Moore in Alabama's upcoming GOP Senate primary, according to Politico. 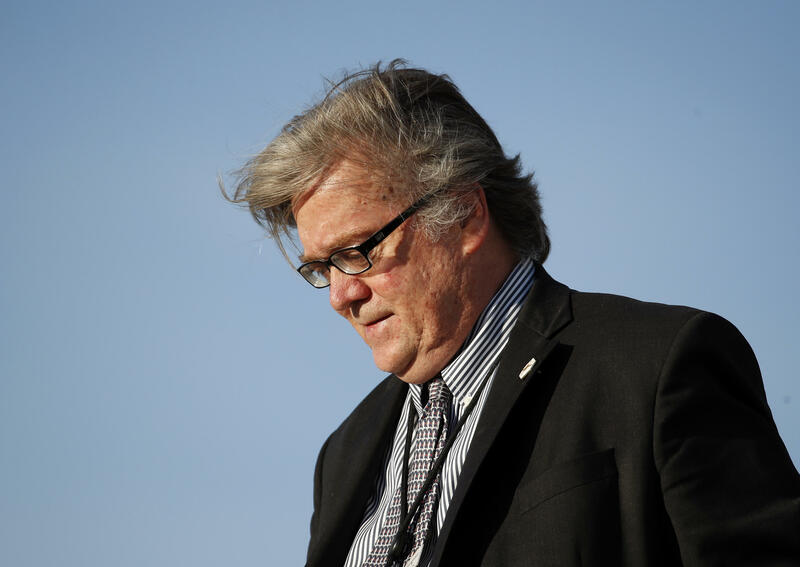 Bannon made the announcement during a meeting with prominent conservatives in a Washington, D.C. meeting last week, according to the report. Meanwhile, Mr. Trump has thrown his support behind Sen. Luther Strange, who also has the backing of Senate Majority Leader Mitch McConnell. Bannon phrased his support not as a break with Mr. Trump but as "an act of opposition" against McConnell, the report said. Groups allied with McConnell have spent heavily in the race to support Strange, who was appointed to fill the seat left vacant when Jeff Sessions became Attorney General. But Strange has persistently lagged behind Moore, an outspoken social conservative, in the polls. Breitbart News has written glowingly of Moore in recent days. The influential right-wing website reported last week that Moore had secured the endorsement of former Alaska Gov. Sarah Palin. That report also warned that Strange's allies would soon "revive old and baseless charges against Moore." It also said Strange had refused to appear on Breitbart's radio show, and that it is "unclear why he is refusing to talk to conservatives who support the president." Strange and Moore were the two victors of the Alabama Senate primary earlier this month. Their run-off will be held on September 26th, and will face Democratic former U.S. attorney in the December general election.